Special Containment Procedures: SCP-2982 must be kept in a secure small item container. Telecommunication signals are to be inhibited as per Multiple Redundancy Procedure 023-Telexicon except when under test/exposure conditions, during which time Procedure 662-Dripfeed is to be followed. 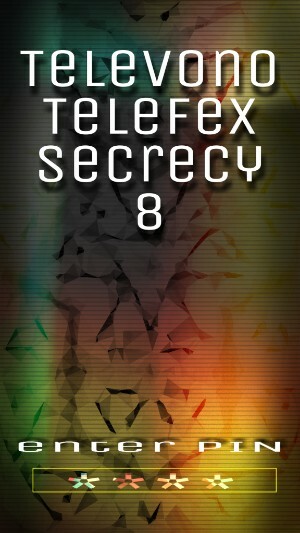 Description: SCP-2982 is a mobile phone, make/model Televono Telefex Secrecy-8, running an unknown proprietary operating system with an unknown service provider. Televono is not a recognised manufacturer. No other instances of SCP-2982 are known of and the make/model has not been traced to any known organisation or concern. It has the anomalous, autonomous ability to import a user's pre-existing contacts, including highly sensitive, secret information that only the contact may be aware of, and to make congruous changes to the real life contact based on changes made to the contact information on the phone. The results include (but are not limited to) changes in:- eye colour, weight, sexual orientation, religious belief, mental wellbeing, quality/length of life. SCP-2982 came to the indirect attention of the Foundation following the monitoring of numerous trigger events (including suicides, suspicious accidental deaths and sudden onset personality changes) in the greater Beacon Hill area of San Antonio, Texas by Early Warning Unit Wormwood-33 in January 2015. The common denominator was identified as Beacon Hill resident Harold Maine (also referred to as SCP-2982-01); however, Maine drowned in his toilet in an apparent freak accident on 2015-02-03 before Foundation personnel could make contact. This concerns me greatly. Last Tuesday, Agent Carol Paris misappropriated a phone during CPR at Harold Maine's home. She guessed the PIN number, searched the contacts, they were all hers. She says she "freaked out" and took the phone home. She confessed first thing this morning. I have a full statement on my desk. According to Paris, the phone contained secrets about all of her contacts, and I quote: "Sexual orientation, paraphilias, criminal records, medical records, secret fears, desires, phobias, psychological problems, extramarital affairs." She has no idea why Harold Maine had information on her friends, family and colleagues, how he came by this information (assuming it's authentic), or what he was planning to do with it. Obviously some of these will be Foundation personnel, so it's something we need to monitor closely. Preemptive Class D requisition approval is attached for Compulsory Consent Testing. Initial test results are in. Thanks for the PIN, but it wasn't required. All seven CCT subjects guessed it at the first attempt. Also, the phone appears to autonomously import the contacts of whoever has the phone at the time. So Maine didn't have Paris' contacts after all, which is good news. This of course means we now have no idea how someone's darkest secrets get onto the phone in the first place, which isn't so good. August 3rd: Got another subconscious text from Olivia Hulme. Husband beats her, eldest son is on drugs. I feel for her. She has no outlets for her anxiety. I'm changing her star sign to "Self Harmer." Olivia Hulme was admitted to hospital on the 6th with eleven self-inflicted razor wounds to the arms. Also evidence of self-inflicted bruises, bite marks, and various deep scratches on her face and neck. There were two hundred plus entries in his diary where he's changed some poor unfortunate's contact details. Orthodox jew into militant Islamist, right handed to left handed, deaf to blind, asian female to white male and so on. I believe he was using the phone for blackmail, and altering people if they didn't cooperate. And that would explain the $273,666 scattered around his home. We've got a full list of Paris' contacts. Very bad news, Frank. She knows a lot of Level 3+ personnel across multiple sites. She even has Site Directors on her list, including our own. And she had seven days to change them in unknown ways, plus discover their innermost secrets. Not good for her, not good for us. This means we also need to trace all personnel - no, anyone who might have handled it since Tuesday the third of February. Hopefully either yourself or Sandra Chaperone will have that logged. Testing continues, I'll keep you informed. Tests confirm it. Changing the contact details changes the person. CCTS Golan's 'species' was changed to Patella vulgata - the common limpet - by another test subject. Golan displayed signs of extreme distress almost immediately. Physiological changes were complete within an hour. It took a security detail three hours to pry him off the floor using crowbars. The mucus was everywhere. We're currently arranging suitable salt water containment. Sometimes the little things make you smile. Ok now the bad news. Paris' father died this morning. Advanced bronchioloalveolar carcinoma. Standard Anomaly Signature Recog systems flagged it up - he'd been for a medical three days ago and he passed with A1 health. I spoke to Paris; she says she read his contact info - he'd been having an extramarital affair with another man. She couldn't bear to see the details. She deleted him that day. This would have been the 3rd. She did not take the news well. Eighteen subsequent tests on CCT Group SCP-2982-A5 show that, in all cases, deletion equals death. Finally, testing on the physical structure of the phone itself commences on the 21st. As always, I'll keep you in the loop re the current state of play. He is to be given unhindered, solo access to both SCP-2982 and SCP-2982-02 (the former Agent Paris). Yes I know. I'll send you the full approval documentation tomorrow. Orders come from the O5 council. They're very very skittish about what she knows and what might get out. Also, nobody wants to wake up a different gender. Keep your head down, Frank. Do as he asks, smile and bow on your way out. Don't make trouble. Let me know how many times 662-Dripfeed is enacted while he's here, and for how long. A final heads up: they're going to "decease" her. It's in the approvals. Keep your head down and let's hope when this blows over we're both still here. + Addendum: Operation Aftermath. For the eyes of Site Directors and above only. Christ, Frank, what an unholy mess. Carol is dead. Yes Frank, first name terms. No point denying it now. Cause of death, stress cardiomyopathy, AKA "Broken Heart Syndrome." Christ. We thought the "deletion equals death" anomaly was just for "active" deletions - you have the phone, you delete someone, they die. Turns out, when the phone swaps users, and it deletes all the previous contacts, these deletions also equal death. We didn't even consider that. She figured it out. The revelation broke her. Her family, her friends, her ex-colleagues, her children. All doomed the moment the next person picked up the phone. Christ. And that leads me onto the real reason for this email. I can no longer live, Frank. I have to go. I discovered a lump on my cheek over breakfast. For the last twelve hours I've traced its blossoming, crawling trail from face to throat, chest, armpit, stomach, back and groin. It hurts. Lazarus wants me to beg him for clemency. Not going to happen. Make sure a CPRD gets to me before anyone else does. Don't let my family find me first. I'll be in the bathtub, maybe I'll listen to the Beatles on the way out. Lazarus knows a lot of high-level people, Frank. Their secrets, and their lives, are at risk. I don't know whether he's doing this for them or himself, or some other force. Maybe there's another phone out there and someone overtyped "loyal friend" with "traitor." I don't know. It's time to go, Frank. With true regret I leave you to face the howling, all-consuming darkness of the coming storm. It has already claimed me, my friend. Communications have been sent to all staff to report any suspicious telecommunications-based behaviour from any source to line management immediately; under no circumstances are they to delete any phone contacts without Site Director clearance. Surviving contacts of all instances continue to be monitored via Anomalous Signature Recognition operations. As of 2015-03-07, all contacts mentioned in SCP-2982-01's notes have died. As of 2015-03-08, 67 of SCP-2982-02's contacts have died, including its two children Ellen (age 12) and Sarah (age 8). At 19:41 on 2015-03-11, Subsite 23-Delta-K6 Chief Security Officer Frank Onegra stepped out in front of a moving truck and was killed instantly. An examination of his browsing history at work and on his private laptop at his residential property revealed 49 separate searches that day for the phrase "Locked-In Syndrome." Apologies for the overblown religious cliché. I know it's overdone but it somehow seems appropriate, and will become more so over time.